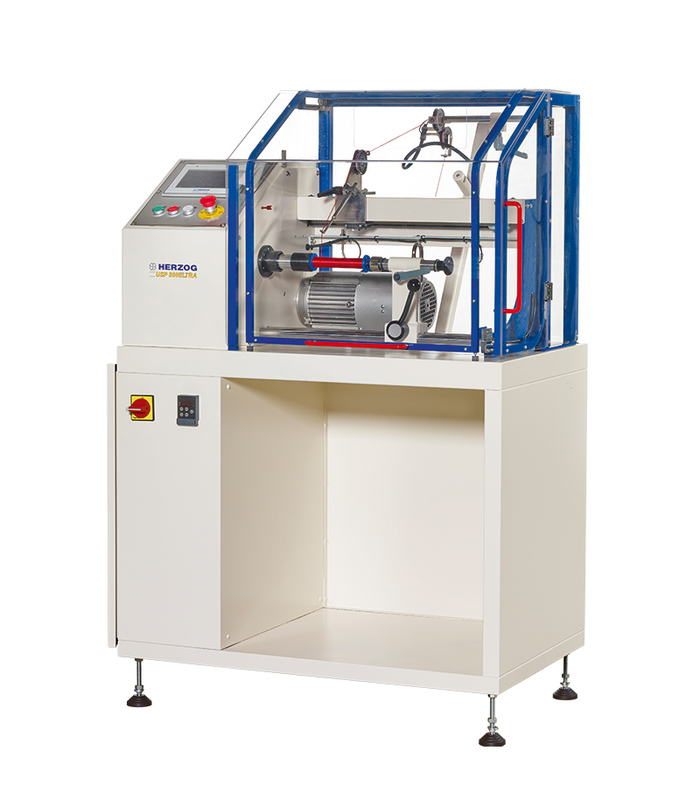 For parallel winding of cords with 1 – 6 mm diameter. For flanged bobbins with a maximum diameter of 300 mm and a maximum winding length of 300 mm. Infinitely adjustable winding speed, constant during the winding process.